Content is the backbone of a blog. You need to create awesome content in a consistent manner if you are running a blog. One, to cure the so called writers block. And second, to help you create easy content on the go. 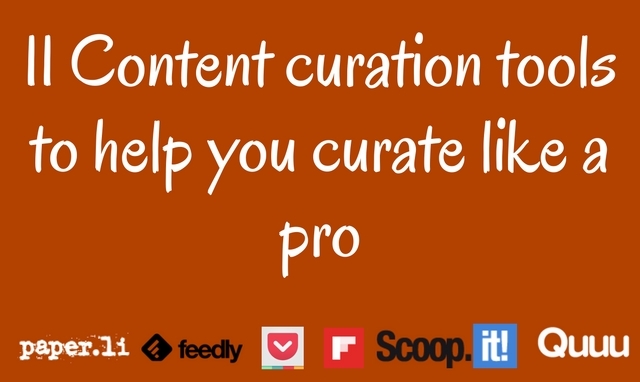 Let’s see what content curation is and how it helps you with the above mentioned two things. Content curation is an art, if you ask me. It is the art of collecting awesome content on a specific topic – usually your niche/industry. And keeping it organised so you can use it and share it with your readers/followers. But why do you need to do this is just another question which has many answers. 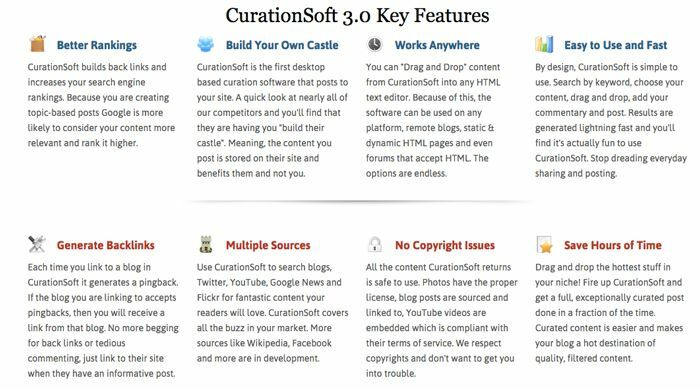 You can use content curation in as many ways as you want. It depends purely on your creativity. What is the use of curating content? Why should you curate content? Why should you follow others’ content and collect it? Is this not a waste of time? Whoa! If you think content curation is a waste of time, you are missing out big! For one, you need to keep up with your industry/niche if you want to be a prolific blogger. If you want to create awesome content on a regular basis (which is something you “need” to do) you certainly need to keep up with what’s going on in your niche. Without the knowledge about who’s sharing what, if you cave in and create your own content, most of the times you will only be creating mediocre content! Keeping up with your industry not only gives you up-to-date information but you also give your brain fodder to produce awesome content. Coming up with blog post ideas on a consistent basis is really a challenging thing. Unless you read and keep up with awesome content, you won’t get the spark of ideas to create content for your own blog. Lastly, you can create round-up posts based on your reading! Many bloggers do this. This kind of content creation is not only easy, but also proves to be highly useful to your readers so they’ll love it (despite the fact that you didn’t have to put a lot of effort in creating it). But how can you keep up with all the stuff in your niche and outside your niche (in a bit broader sense)? Isn’t that a tedious task? Are you going to go to Google everyday and type keywords, use time filters to find out what everyone is publishing in your niche? Don’t worry you’ve got tools! And I’m going to share them here right away. Feedly has been a saviour for many when Google Reader stopped working. I completely switched all my Google Reader content to Feedly. I constantly use their app both on my Mac and on my Android phone. You can search for website’s RSS feeds based on your interest and add them to Feedly. 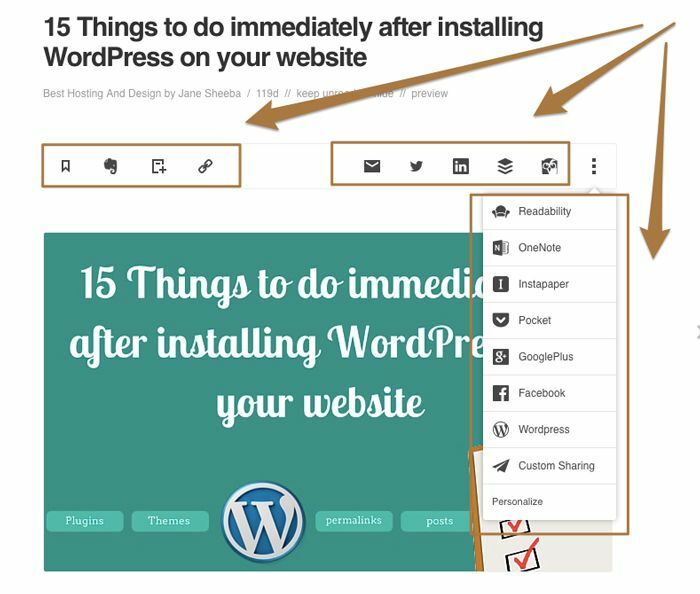 Once that is done, every time a new piece of content is published on those added websites, they are automatically added to your reader. From Feedly, you can share the piece of content in social media, clip them to Evernote, Save to Pocket, add to Onenote and so on. You can have up to 100 sources in your Feedly account for free. If you want unlimited sources and integration with Buffer, Hootsuite, Dropbox, WordPress etc. You have to opt for their premium plan $5.41 per month (billed annually). And if you want to use it with your team, it costs $18/mo. You can use their Android or iOS app! Pocket is something I use heavily just like Feedly – I use it on my Mac as well as on my Android phone and it is amazing. When I am browsing, or going through my social feed, or blog hopping or find awesome content anywhere I just add it to my Pocket for reading later. The beauty with Pocket is that you can read everything offline once you have them saved (and synched). 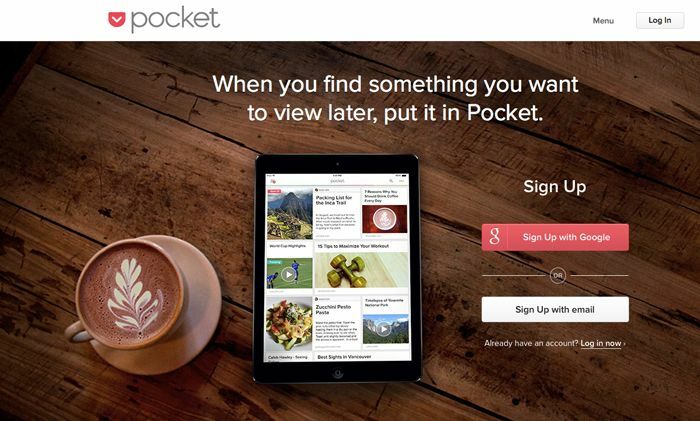 From inside Pocket you can share the content to your social feeds (including Twitter, Facebook etc. ), add to Buffer, Evernote, Onenote and much more. For me, apart from helping with sharing awesome pieces of content, it also helps me come up with great blog post ideas. Whenever I brainstorm for blog post ideas, I open my Pocket window and take a look at the saved content, and get inspired! 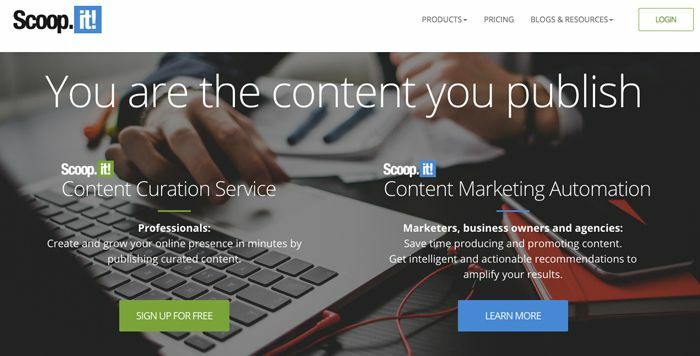 Scoop.it works as a one stop shop for content curation and distribution. You can not only discover great content (for keywords of your choice) but also can curate that content and publish your own scoop on the topic. In addition, you can share the scoops on your social feeds. You can also publish the scoops on your website by embedding them. Scoop.it has a free plan where you can create scoops on one topic. And their other paid plans that cost $11/mo and $67/mo (paid annually). Flipboard is a wonderful place to get lots of content pieces in your area of interest. There are broad categories like Health, Productivity, Writing, Internet Marketing etc. And you can also choose to follow certain specific sources. And all the cover stories, latest updates from those sources and those that fall into that category will be displayed to you. 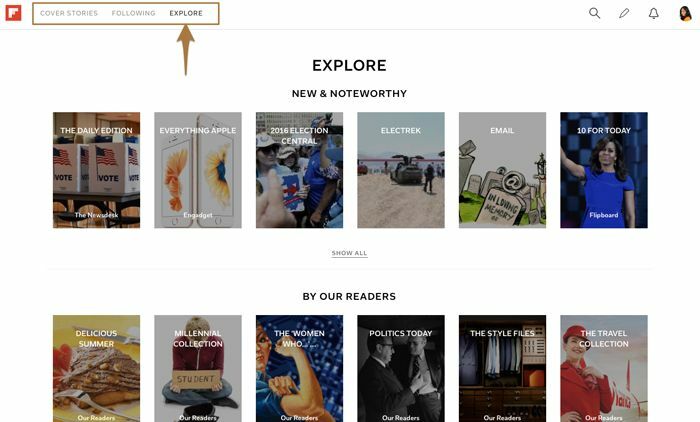 You can also create your own Flipboard magazine and add content to it, to keep it even more organised. Initially, you might feel as if there is too much noise. But once you “train” it by clicking on the “Show more like these” or “Show less like these” your feed will become more and more sharp. I love their Android app. Flipboard is also available for iOS users. Paper.li is a great place to collect content of your interest. You publish a paper that has content from the sources you mention. You can then share the paper as a whole in social media or even share separate content pieces. For casual usage, paper.li is free where you can add up to 10 sources. If you want to add more than 10 sources you can go for their paid plan that costs $9 per paper per month. As sources, you can have RSS feeds. But you can also manually add content (as and when you find interesting pieces) to your paper using their handy bookmarklet. The tagline says it all – it is a content discovery engine. And it does the job pretty neat. ContentGems already has a huge database of blogs, and news pieces in various areas of interest. You could benefit from it. You can also add your own content sources. Apart from that, you can search through the content with a variety of filters – using keywords, social signals, and other settings. There is a free plan where you can use one interest, 10 keywords, 20 custom RSS feeds and basic filtering. Their Business plan costs $99/mo and there is an Agency plan for $199/mo. Quuu is a very simple platform. It helps to make your social feed content rich. You initially have to select relevant categories that interest you. 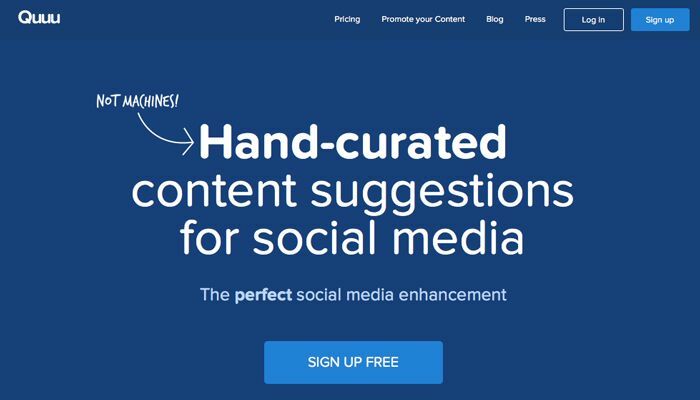 Quuu then sends hand curated content from the categories you chose to your Buffer account so you can share them automatically to your social feeds. 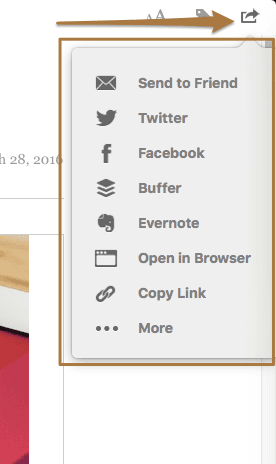 Of course you can manually edit those suggestions right inside Buffer. Quuu has two pricing plans – one for free and one costs $10/mo. 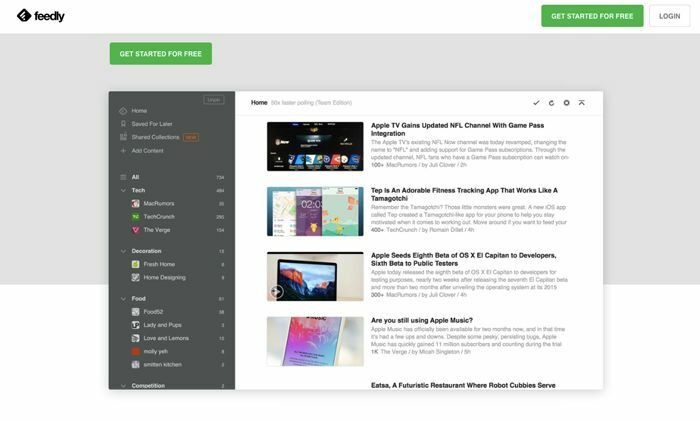 Pressly is about helping you share content to your social feeds, newsletter and also in the form of widgets. You get all the content in one place – you and your team. And then it becomes a piece of cake to share. They also provide excellent engagement metrics so you can measure and know what works best. They don’t have a direct “Sign up” or “Buy Now” button. You have to contact them to get a demo. If you are running your website on WordPress, you have a plugin for that (surprise?!). It is called MyCurator Content Curation and does a pretty decent job for being free. Once installed, you can customise the content sources like RSS, Google Alerts etc. so you get content that you are highly interested in. The plugin also filters out spam content by using Cloud AI module that weeds out not only spam but also off topic and irrelevant content. 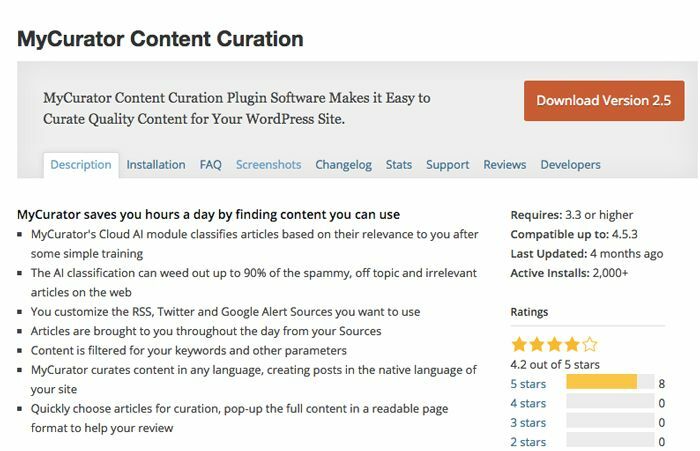 So it becomes extremely easy for you to publish blog posts with curated content. Nuzzel scraps Tweets and Facebook updates and helps you find out stories shared by your friends or stories on a related topic. You can directly use their search button to search for stories on a topic. 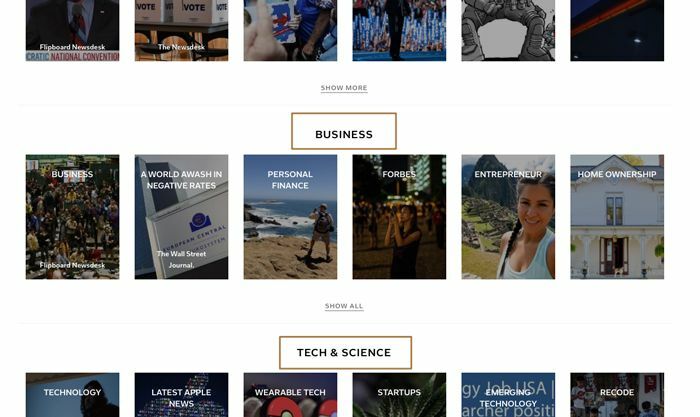 Or subscribe to stories on specific categories presented on their page. Curationsoft is a software that runs on your computer – it uses Adobe Air; so this means it runs on both Windows and Mac. You plug content sources in your software and it will provide you with content from those sources. Sources include News, blogs, Books, Facebook, Google+, Twitter, Amazon and much more. They have a free plan, but it can only be used to get to know about the software because it allows only one content source. They have a couple of paid plans – $47/yr and $97/lifetime! I’ve explained the importance of content curation. It helps you to keep up with latest stories in your niche (or category of interest). It helps you to come up with great blog content ideas. In addition, it also helps you to build great relationships by sharing others’ content and/or curating them and publishing on your own blog. And it is not hard these days to get going with content curation. You have these awesome tools! Select one from above and curate content like a pro!